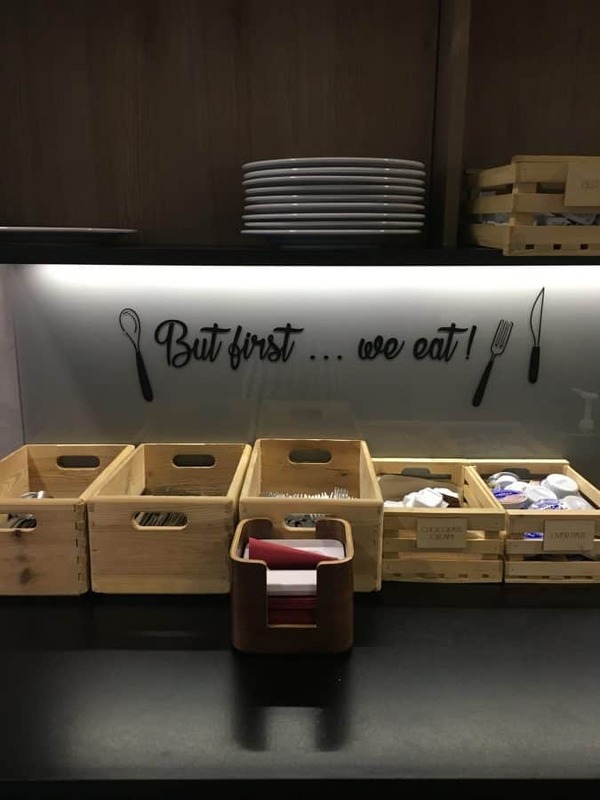 During our trip to Ljubljana, we had the privilege of spending one night at B&B Hotel Ljubljana Park, a hotel awarded as the most eco-friendly in the entire city. This is significant especially in Ljubljana because the city received the award for European Green Capital of 2016. 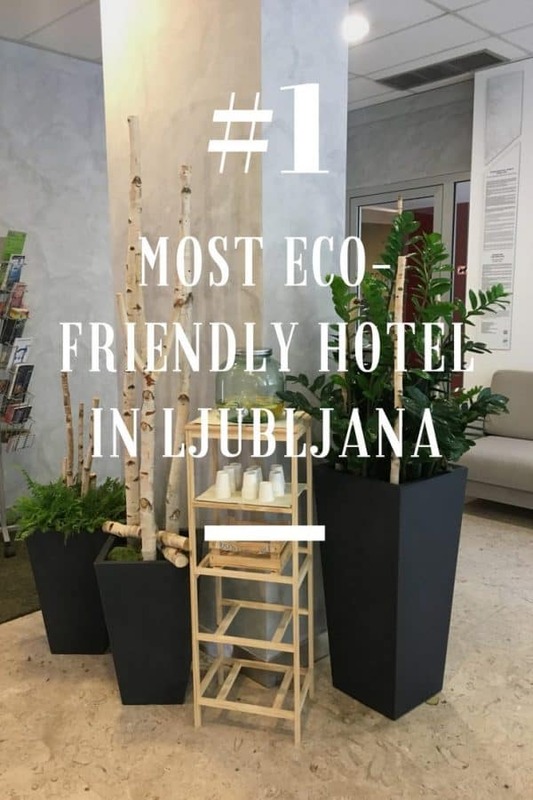 If you want to travel responsibly and support environmental efforts around the world, read on to learn more about the #1 most eco-friendly hotel in Ljubljana: B&B Hotel Ljubljana Park. 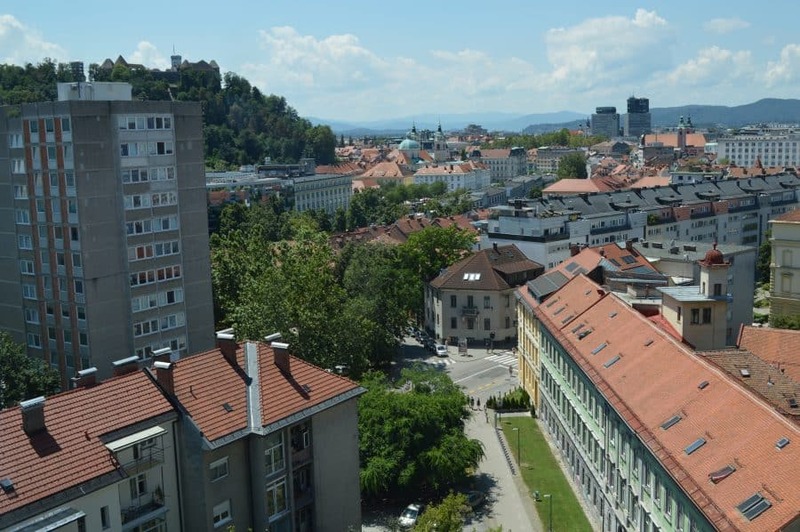 B&B Hotel Ljubljana Park is located within walking distance of Ljubljana’s city centre and main attractions. From the hotel, you can reach the Ljubljana Castle, famous bridges such as Triple Bridge and Dragon Bridge, and Metelkova, just to name a few. Despite its proximity to the main sights, however, the hotel also offers privacy and quiet as it is located off the main road in a quieter, more hidden area. 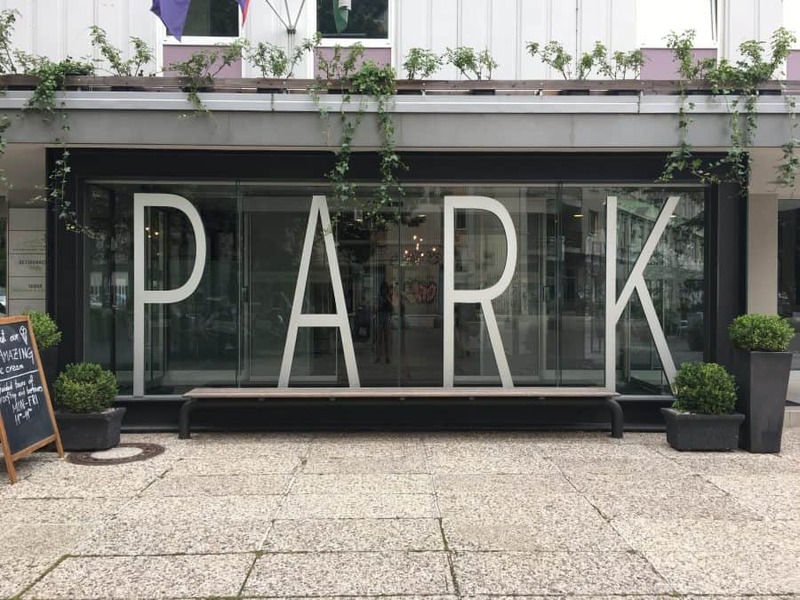 When we arrived at B&B Hotel Ljubljana Park, we were greeted by a modern exterior with the word ‘park’ sprawled in front in big letters. We walked into a sunlight filled lobby and were greeted by a smiling receptionist and complimentary lemon water. 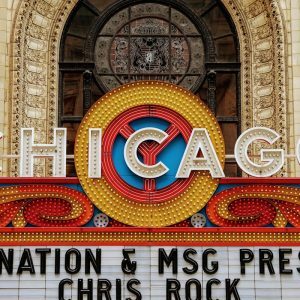 The check-in process was smooth, and we were in our rooms within five minutes of arriving. 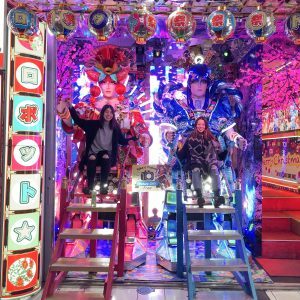 The process was quick and efficient, and the staff were helpful with providing us directions to the sights we wanted to see. B&B Hotel Ljubljana Park’s commitment to being eco-friendly can be seen in every corner of the hotel, making it no wonder that they were awarded the #1 most eco-friendly hotel in Ljubljana. 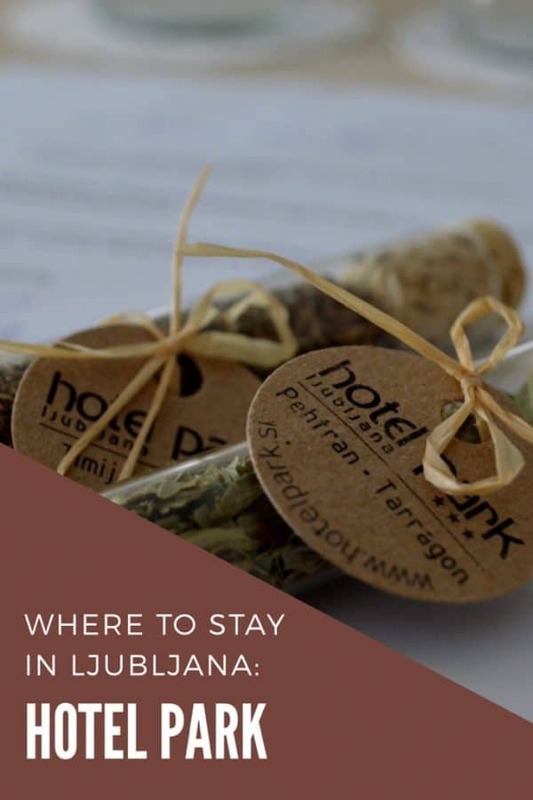 The lobby is filled with plants and other greenery, the elevators have signs on the outside encouraging people to take the stairs, and we were even given small bottles of complimentary herbs in our room to encourage clean eating. The hotel’s commitment to the environment can even be seen in its colour scheme, with hues of white, green, and brown throughout. There is also a significant amount of natural light that floods the entire interior. 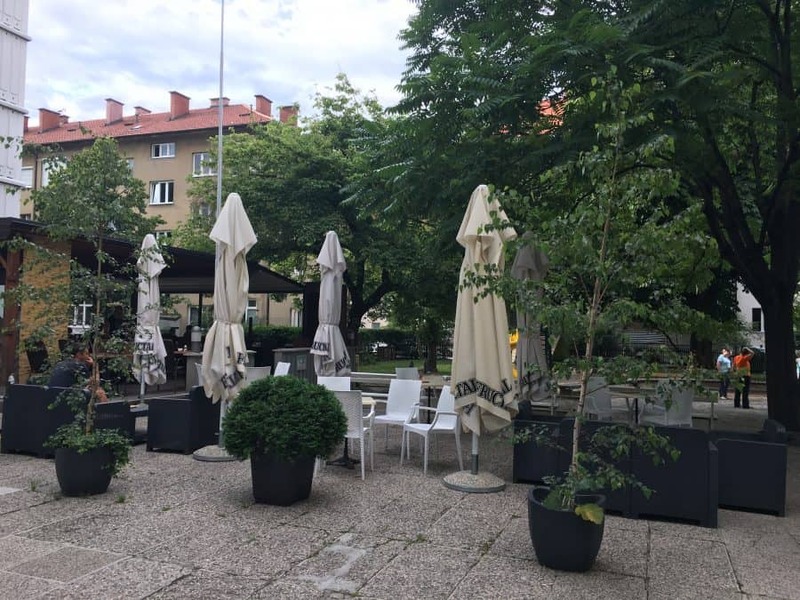 B&B Hotel Ljubljana Park is located next to an actual park, which is the perfect place to take a walk and bask in the eco-focused atmosphere and surroundings of the hotel. 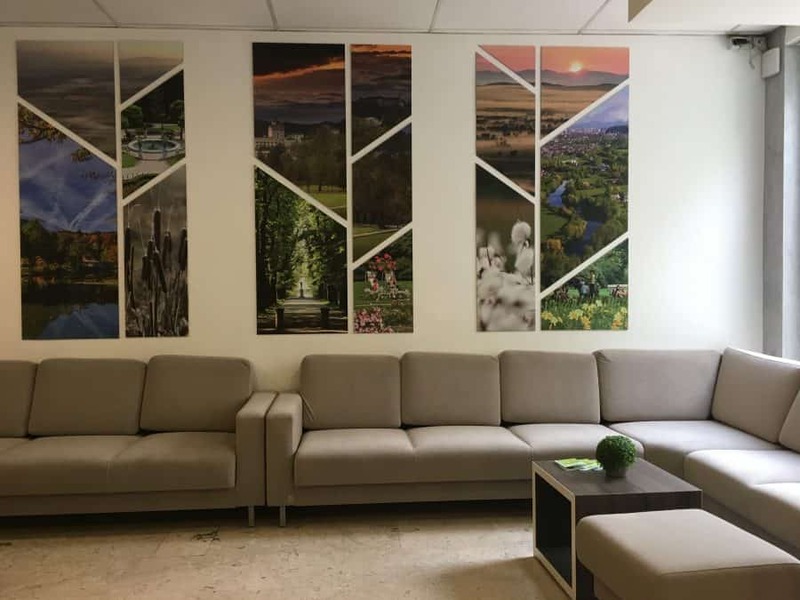 There are four types of rooms that you can choose from at B&B Hotel Ljubljana Park – the comfort room, family room, suite, and new superior room. The most common rooms are the comfort room and new superior room, but there are also two suites and six family rooms available if you are traveling in a larger group or seeking some added luxury. The family room gives guests staying in larger groups the chance to have two interconnected rooms. Other than that, it is designed in almost exactly the same way as the comfort room. The suite is also designed similarly to the comfort room, but is much more spacious and includes a separate living room. For our stay at B&B Hotel Ljubljana Park, we were given the new superior room with a double bed. The room came fully equipped with a minibar, television, and solid wireless internet connection. 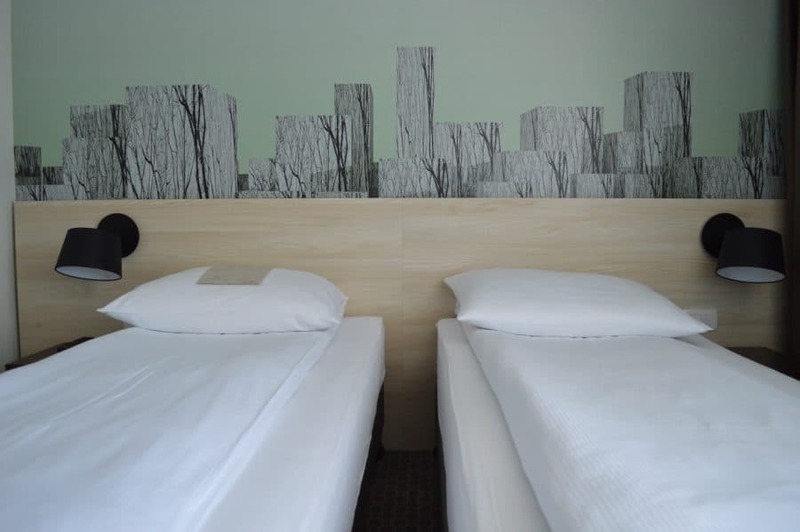 The theme of the new superior room is very different than the themes of the other rooms, as it is the only one that carries the white – green – brown colour scheme. B&B Hotel Ljubljana Park has a restaurant and bar located inside the hotel with outdoor patio seating during the summer. 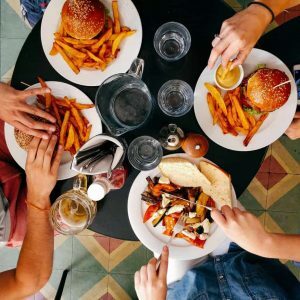 On weekdays, breakfast is served from 6:30 to 10:00AM, lunch is served from 12:00 to 3:00PM, and additional dishes are available for order from 12:00 to 9:00PM. On weekends, breakfast is served from 7:00 to 10:00AM, and additional dishes are also available from 12:00 to 9:00PM. 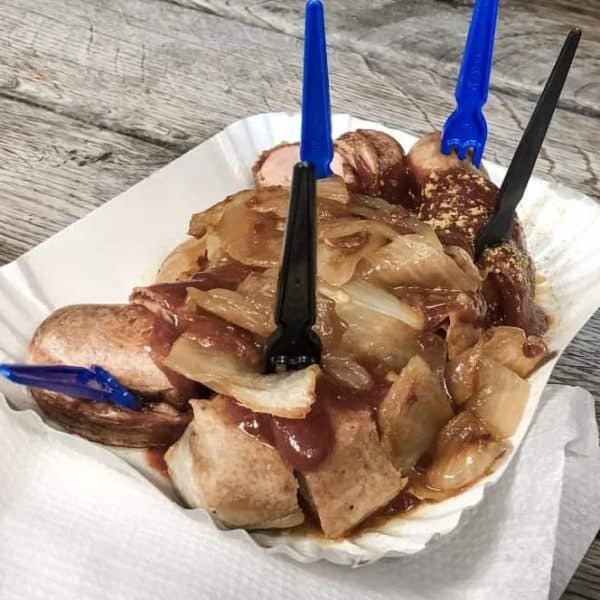 The restaurant serves a variety of delicious cuisine, ranging from ice cream to drinks to authentic Slovenian food. The only meal we had at B&B Hotel Ljubljana Park was breakfast. 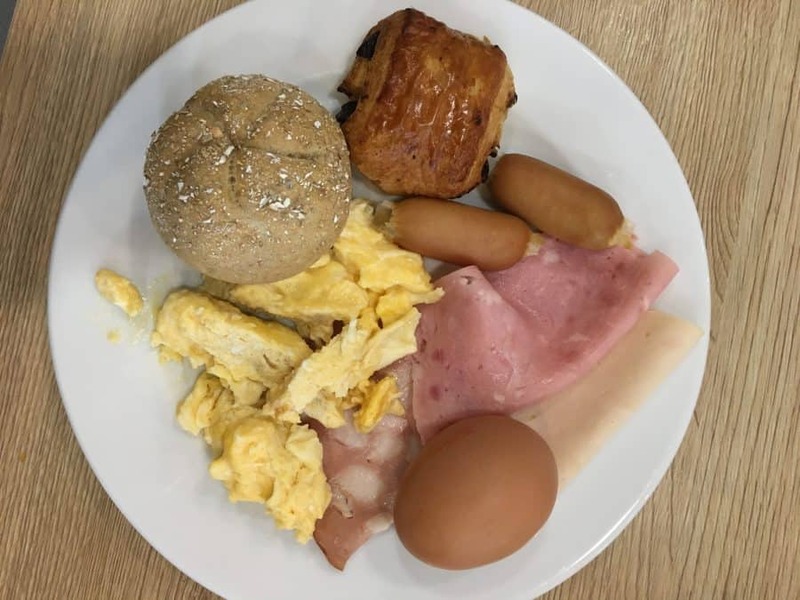 There was a decent selection of food and a hot breakfast selection including eggs and various meats (ham, sausage, etc.). 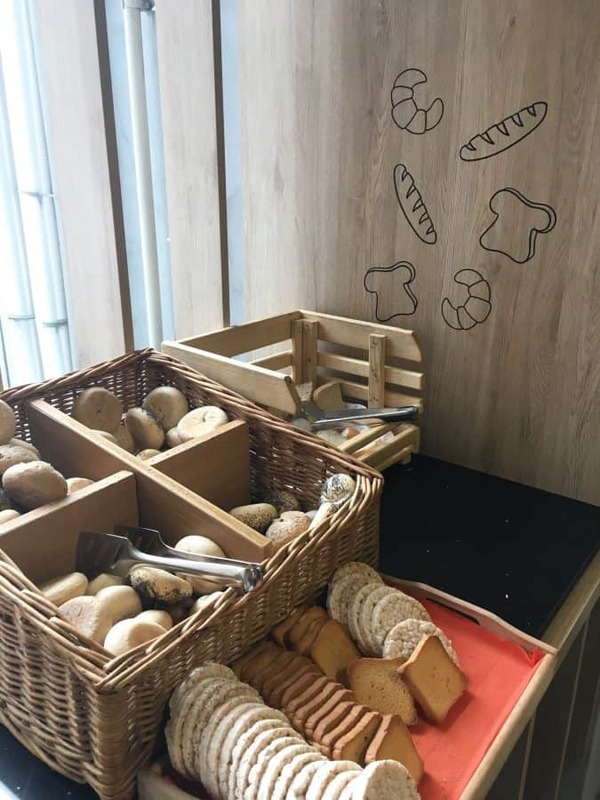 There was also a very wide bread selection, as well as little breakfast desserts. There was sufficient seating for all guests, and we felt comfortable taking our time to enjoy our breakfast. Unfortunately, we did not have the chance to spend time in the outdoor bar/patio area. 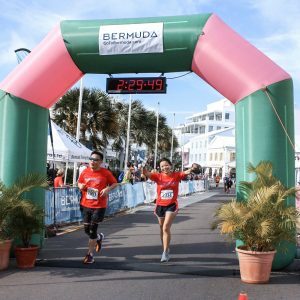 However, it seems like a great space to enjoy the greenery surrounding the hotel, as well as to chat with friends or meet new people staying at the hotel. 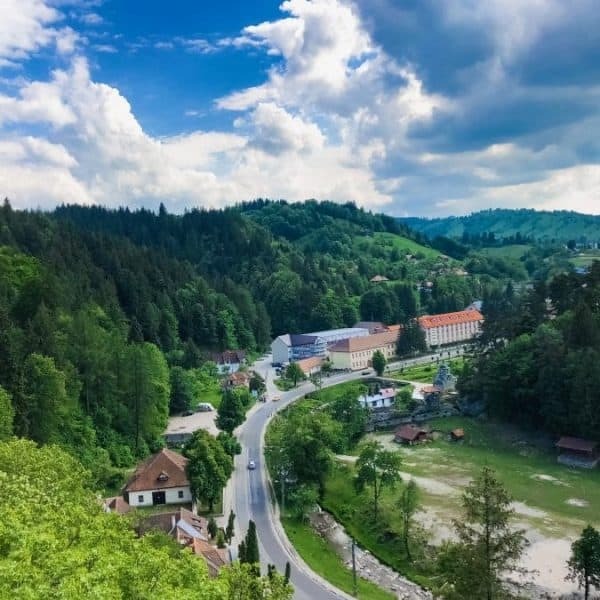 Although the hotel doesn’t have its own fitness room or pool, there is a 50% discount offered for hotel guests at the Sport Club Tabor Ljubljana, located a short walk away on the other side of the park. Some other services that the hotel offers are a luggage room, paid laundry and dry cleaning service, paid airport shuttle and taxi, car rental service, computer work station, and printer. We thoroughly enjoyed our stay at B&B Hotel Ljubljana Park. 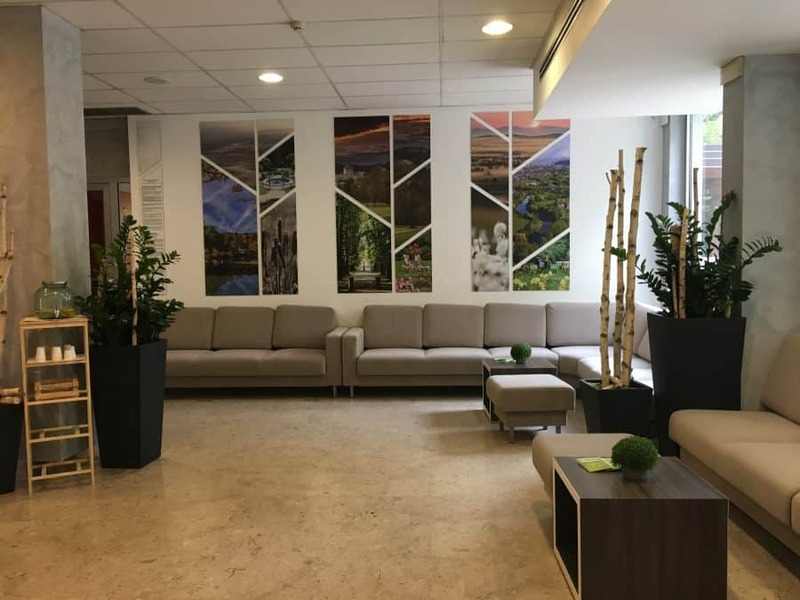 It captured the essence of the city of Ljubljana through the friendliness of the staff and its emphasis on the environment, two things that we noticed are particularly important to locals in Ljubljana. B&B Hotel Ljubljana Park made our trip to Ljubljana more enjoyable by providing us with comfortable accommodations in a great location that afforded us easy access to all of our favourite sites. It is reasonably priced for the quality of the hotel and is well worth the visit. 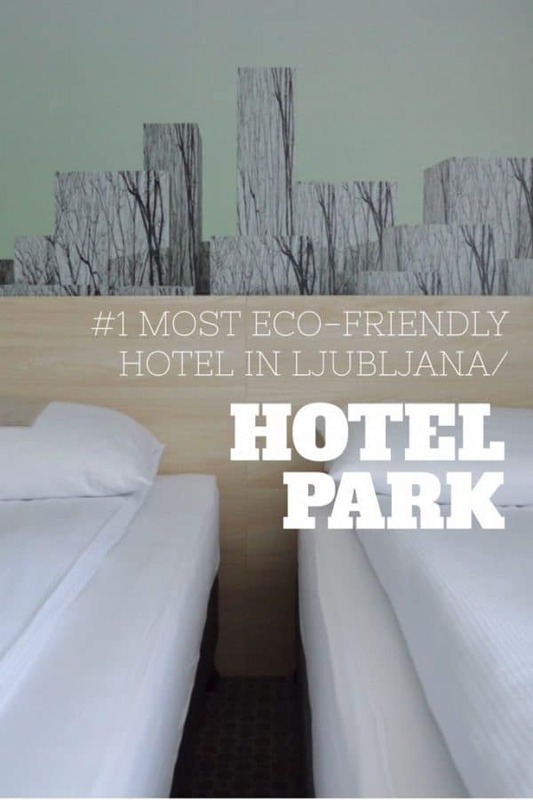 Click here to book your stay at the #1 most eco-friendly hotel in Ljubljana: B&B Hotel Ljubljana Park. A big thank you to B&B Hotel Ljubljana Park for making our stay possible. As always, all opinions are 100% our own. I’ve never visited Slovenia but the lakes really appeal to me so it’s good to know there are great hotels around! 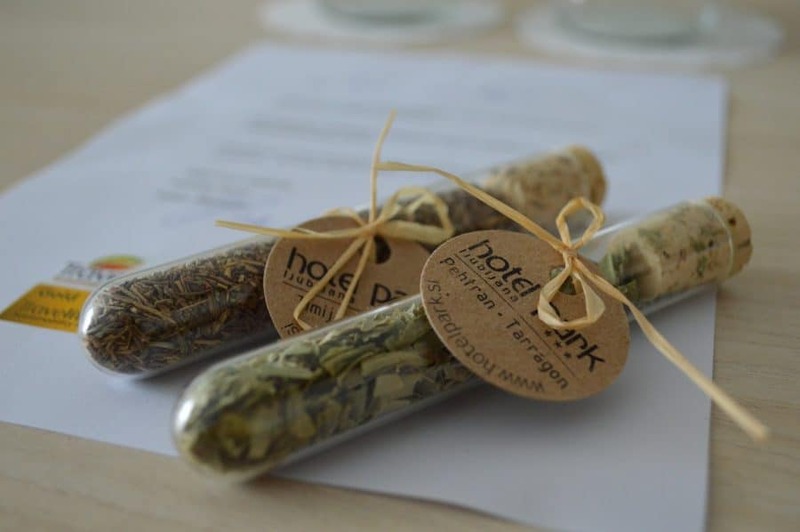 The bottles of herbs in the rooms are such a nice touch, how sweet! As a family we always appreciate a trip to a sports centre so the 50% discount would be very much enjoyed! 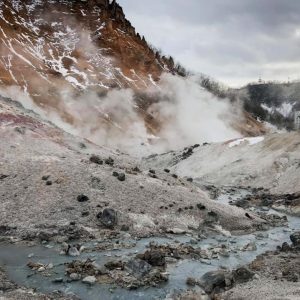 I’ve been hearing so much about Slovenia! 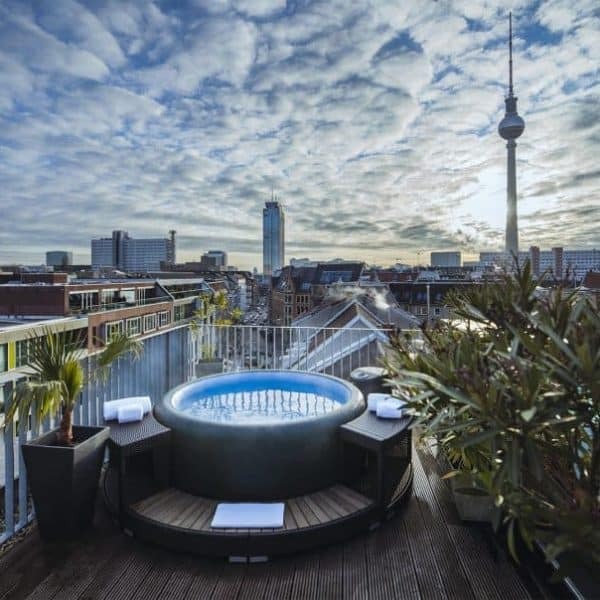 This hotel looks awesome! I love that it’s eco-friendly and has the decor to reflect it. And that breakfast spread looks great! I’m all about anything eco-friendly. The fact that the hotel is tres chic is an added plus! Looks lovely. If I ever travel to Ljubljana I know where to stay! Exactly! 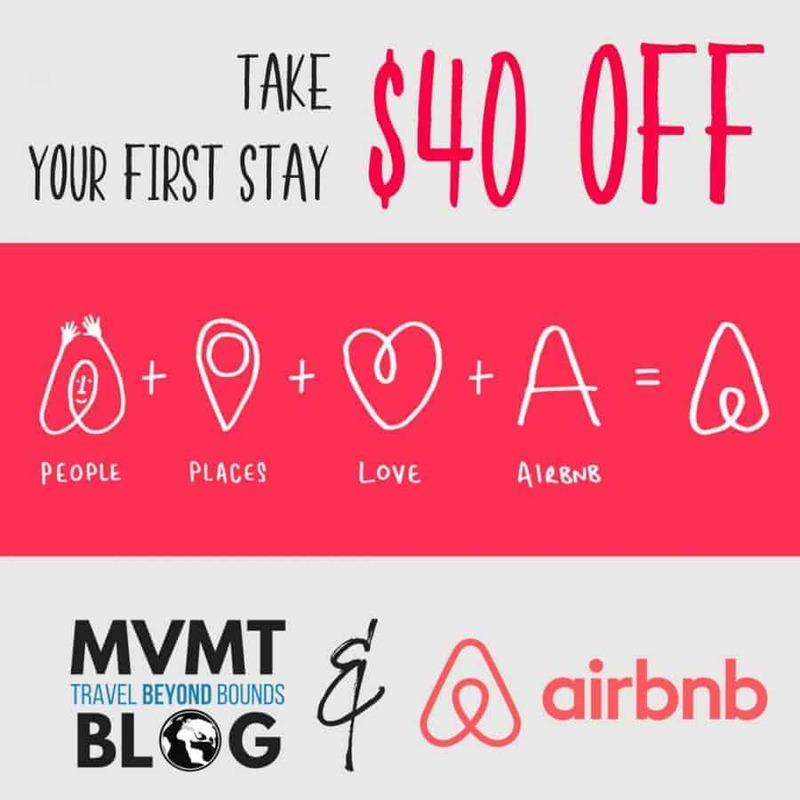 It’s a great mixture of eco-friendly, while also not sacrificing the great things about staying in a hotel! I’ve yet to visited Ljubljana, but this hotel would be on my list. I like their commitment to being eco-friendly, and the clean miminalist decor too. Breakfast looks good, and 50% off the sports centre isn’t bad! The minimalism was one of my favourite parts too! Nothing too unnecessary or complicated, but still had everything we needed! First and foremost, I was drawn to this hotel because of its chic interior. I love this kind of interior styling concept and it makes it feel so homey and cozy, which is always great when traveling. The breakfast options look amazing too, especially those choices of breads! It definitely did feel cozy! Slovenian breads really hit the spot – and there were so many options! 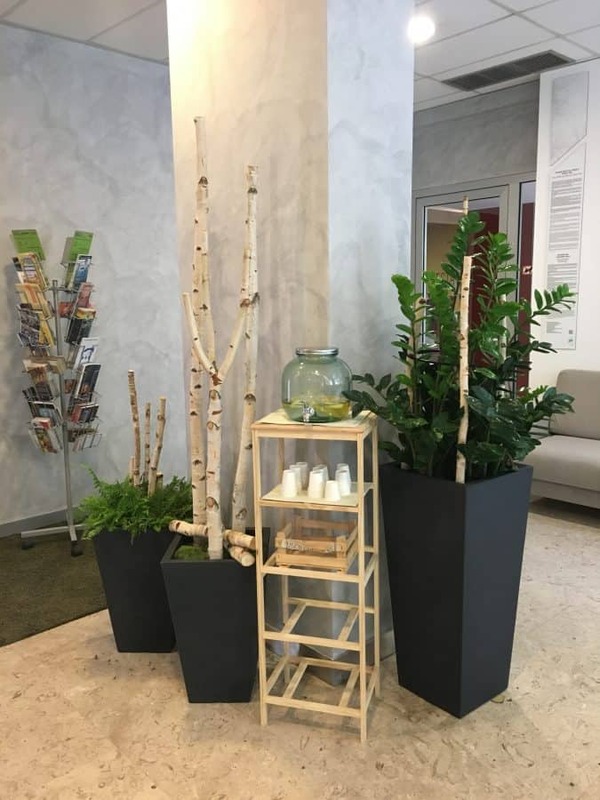 It’s always great to find hotels taking the lead in the area of being eco-friendly and more should be done to promote their efforts as an example for other hotels and hotel chains to follow. 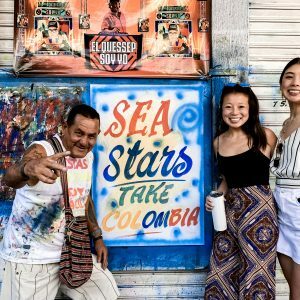 From the information and lovely photos you have shared in this post, there is little wonder they are doing so well. Eco-friendly aside, the Park looks like a really lovely place to stay and somewhere I would book when/if ever visiting Ljubljana. I’m glad you enjoyed the post! 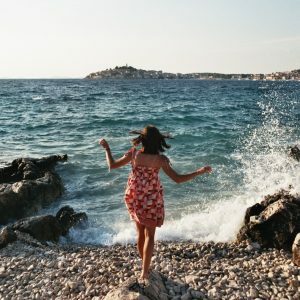 It’s a great place to stay in Ljubljana – so close to everything and so environmentally friendly! Hotel Park looks really cool and I love the simplistic and organic styled decor! 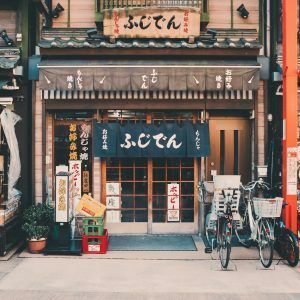 it seems very on trend and a great place to stay. i love that it is eco-friendly and actually contributes to sustainability. great concept! It definitely was! Everything was very new and chic. We loved the concept behind it too! 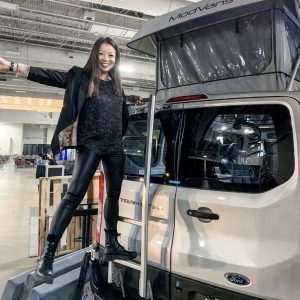 Like you, I also want to travel responsibly and support environmental efforts! I love hotels that go to great lengths to honor this cause. Great ideas on encouraging the people to take the stairs and the natural light to brighten up the hotel. It’s design is so chic and aptly nature-themed! We’ll consider staying in this hotel when we get to visit Ljubljana! 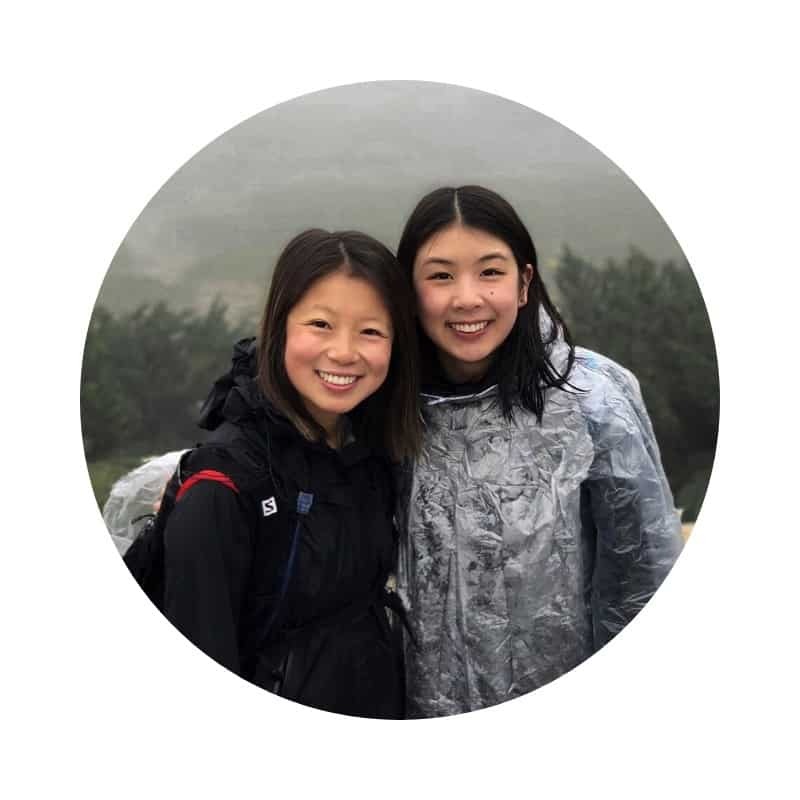 In front of all the elevators they had really funny signs telling people to take the stairs – they kept everything super relaxed while also supporting their environmental efforts 🙂 Glad you enjoyed the post!! 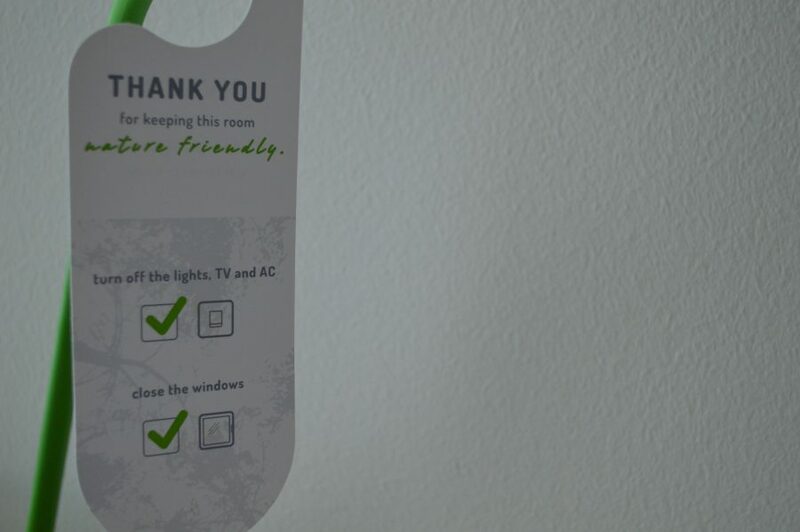 I like eco-friendly hotels for their commitment to nature. This one looks like a special one too. I like the fact that they give herbs to eat healthy. Enough lights and authentic Slovenian food sounds great. The lighting in the hotel made the entire mood more positive 🙂 The food was definitely an added bonus!